"Energy/Sustainabilty/Resource Efficiency" and "The transformation of utilities"
Today (2017/05/23) I am at the NEC in Birmingham to visit these two co-located shows, with more sewage pumping, smart grid tech, and high-viz than one can blink at, but also an international drilling-and-tapping competition in its twentieth year! In previous shows with an energy-saving flavour I've marvelled at the hordes of LED vendors with Aladin's caves of shiny shiny, but now I'm pleased to say that it seems simply to be a regular part of business as usual (BAU). 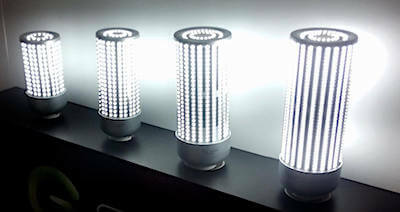 For example, Goodlight had some great looking "g360" lamps with efficiencies of ~140lm/W, which is amazing progress over the 60--70lm/W I used to suggest as a minimum, and all very sensible robust ~1 year ROI stuff. What's a bean counter or a greenie not to like? 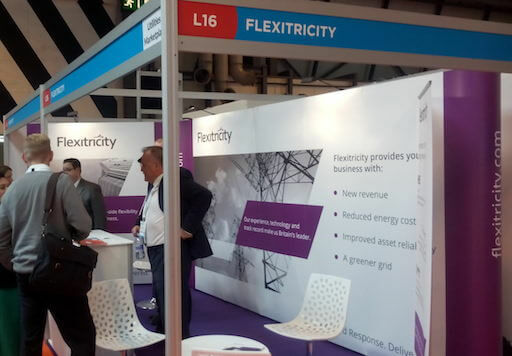 Along with some showing of solar PV, and suppliers of the gear to help install and manage it and wind (etc) at utility scale, were some of the 'smart grid' players that make possible integration of increasing amounts of renewables into the grid such as Flexitricity, Energy Pool, Smarter Grid Solutions. 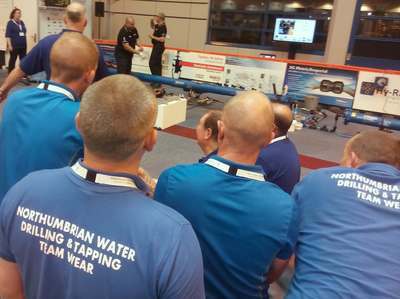 This was my first visit to Utilities Week Live, and somehow I did not have it in my head that there would be lots of equipment for finding and digging and laying and marking and filling, and keeping passers-by out of the holes in the ground that running a utility implies. 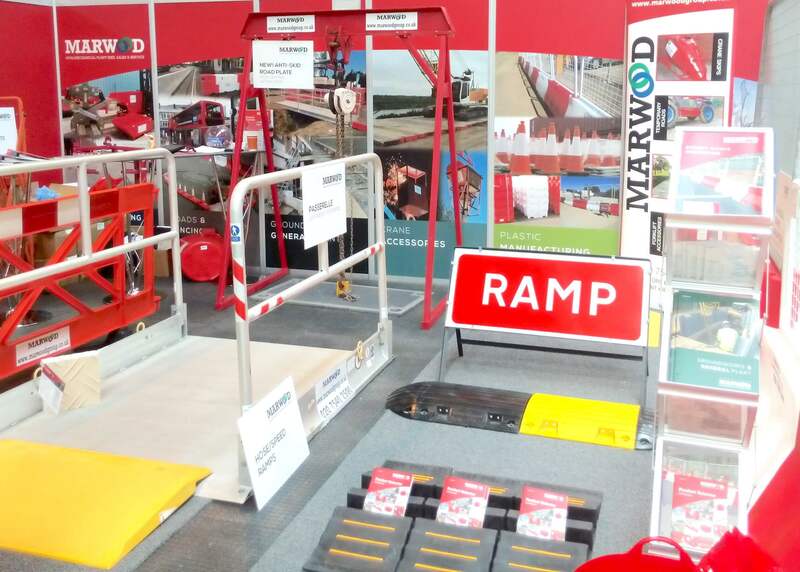 One of the more interesting stands to arm a contractor against the madding crowds with barriers and ramps and signs, oh my!, was Marwood's; more usually found at civil engineering events they received a good response today I am told. Oaklands Group had some particularly attractive brightly-coloured plastic barriers in various designs, some of which could be a useful addition to a school playground. The eye-catching design might avert a collision well ahead of time. When it comes to filing in the holes in the ground and making good, first you may be wanting to put come protective tapes or boards a few inches above your newly laid cables or pipes so that the numpty that starts digging randomly without a detector or a map stops before making a real (expensive and dangerous) mess. Centriforce can supply those tapes and boards, with the tape colour indicating the service beneath (gas/electricity yellow, water blue, fibre-optic green), or some of the robust recycled plastic boards that it supplied to pave over the East-West Interconnector between England and Ireland on both sides of the water! After your tapes are down how do you neatly and efficiently fill your holes in the road without queueing up for hours to collect a minimum batch of hot asphalt? You break out your EuroPaver mobile asphalt batching plant of course, to have just the right of material to hand in 15 minutes. I ran across Clarion which repairs and upcycles old office phones and similar to extend their lives. A thoroughly admirable aim, though sometimes the original manufacturers are not so keen on this threat to replacement sales, it seems. Clarion provides a new two year warranty on the devices it sells (which may be longer than the original in some cases). But I wondered if there was any problem with the promises (such as safety, and RF compliance) made by the manufacturer's original CE stamp. The MD said that he'd simply not had a problem with it so far, and we agreed that since no modification was being made, only repair, then maybe I was inventing a problem that wasn't there! Yes, there was a world championship with teams from near and far sweating it out over pipes of various sizes (images)! 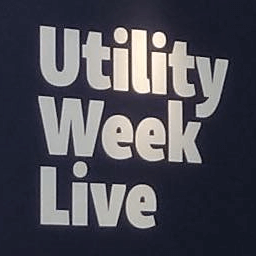 Utility Week Live, edie live (images). 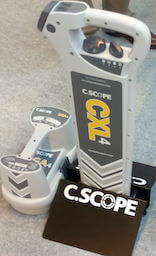 CScope: cable avoidance tools (images). 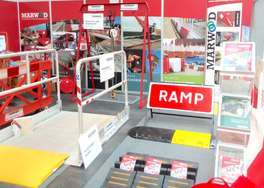 Marwood "non-mechanical plant hire" (images). Oaklands Group - The Plastic Specialists (images). Centriforce: "the UK's largest independent producer of recycled plastic products" (images). EuroPaver - Trailer mounted asphalt batching plants (images). Clarion: "Recycling and Reusing Telecoms since 1999" (images). Drilling and Tapping is back (images). First published 2017-05-23 , updated 2019-04-22 , rebuilt 2019-04-23 . Site copyright © 2007-2019 Damon Hart-Davis. Hosted by ExNet.